Immaculately presented very spacious three-bedroom Penthouse Apartment at Belgrove Park, Mount Prospect Avenue in the heart of Clontarf, has just come to the market through Hamill Estate Agents. This beautiful property has been carefully and meticulously maintained by its owner throughout the years. Measuring an impressive 85 sqm, with a Ber Rating of C1, this apartment is in turn-key condition and is certain to appeal to the most discerning of buyers. Upon entering the property, one can only be impressed by the quality and presentation on offer. The accommodation encompasses the following; entrance hallway with solid oak flooring, light filled open plan living/dining/kitchen area, three double bedrooms with master en-suite and family bathroom with both bath & shower. The apartment block is serviced by a lift which provides access to the underground carpark, and this property has the added benefit of TWO designated car parking spaces. 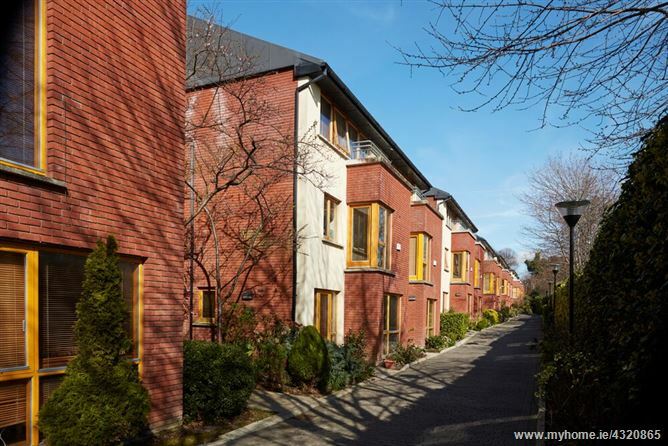 Belgrove Park is located in a very central position ideally placed for the excellent shops, boutiques, delicatessens, restaurants and bars of Clontarf Village. The seafront promenade is literally just down the road, allowing one to enjoy a nice leisurely stroll or cycle. The magnificent St. Anne's Park is only minutes’ away. There is an abundance of leisure facilities in very close proximity, including Golf, Sailing, Tennis, Rugby, & Gaa Clubs. East point Business Park & the IFSC are both within a short commuting distance. Travel links are excellent, with the added benefit of a bus stop (to and from the city) directly outside the apartment complex. Both Clontarf and Killester Dart stations are only minutes away. This property is sure to generate a lot of interest. Viewing is highly recommended, and this is an opportunity not to be missed! Entrance Hall: Solid oak flooring. Storage Closet: 1.64m x 1.26m Storage Shelving.